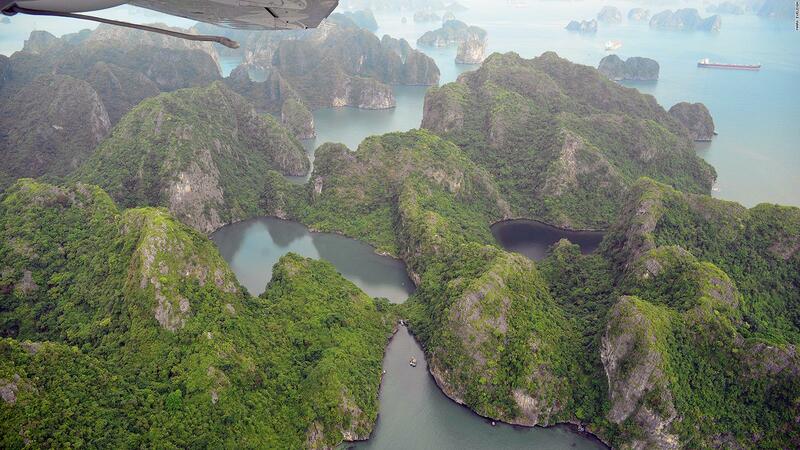 Travel to Halong Bay has become a far simpler process of late. With investments from government and private businesses in the local area, the brand new $350 million Van Don airport will open up just 50km away from Halong Bay. Couple this with the new expressway running from Hanoi to Halong Bay, cutting the drive time from four hours to two, visiting this world heritage site has never been easier. Built to connect Quang Ninh with other domestic provinces and overseas destinations, Vietnam’s newest airport will receive its first flight on December 25. While it’s predicted that Van Don will receive 500,000 passengers in its first year, it is said that it has a capacity for 2.5 million people a year in its first phase. This number stretches to 5 million people in later phases. Travel for anyone journeying from central or southern Vietnam couldn’t be simpler. Flights are planned from tourism hotspots Hue, Danang, Dalat, Nha Trang, Ho Chi Minh City, and Phu Quoc. Further destinations include Chu Lai, Tuy Hoa, and Buon Ma Thuot. While you might expect this to be a small, domestic airport, the design of Van Don could not be more different. By attracting high levels of investment, Van Don has been created with state-of-the-art facilities and standards that make it one of the most advanced airports in Vietnam to date. It has a runway stretching 3.6km, which means it can facilitate the landing of some of the world’s most advanced aircrafts, such as Boeing 787, Airbus A350, A320 and A32. The capacity to accommodate such large aircrafts makes Van Don equal to major international airports like Ho Chi Minh City and Noi Bai in Hanoi. The first flight will arrive in Van Don from Ho Chi Minh City on December 25. This regular flight will be with national carrier Vietnam Airlines and will continue to operate on a daily basis, departing from Ho Chi Minh City at 2:00pm and returning at 4:45pm, with an estimated flight time of two hours and five minutes. This new $556 million road has a bounty of benefits for tourists wishing to travel from Hanoi to Halong Bay. A shorter drive means that tourists leaving from Hanoi can enjoy more time spent in Hanoi before departing, or more time relaxing in Halong Bay. The design of this new highway not only means tourists travel at greater speed, but it will also provide a more comfortable and quieter journey. 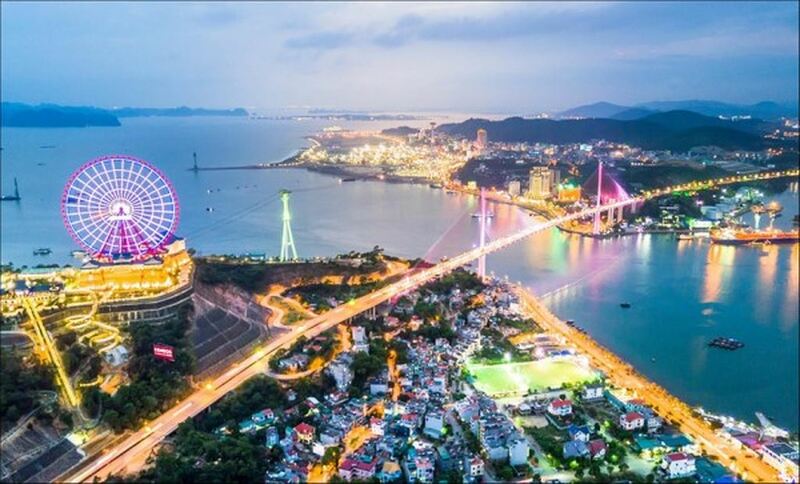 In addition, a trip along the longest sea bridge in Southeast Asia and a short rest stop will mean added levels of comfort and enjoyment for passengers. The newly constructed Van Don Airport compliments this newly built expressway, one of Vietnam’s other recent tourist conveniences that links Halong Bay with the rest of the world. While this brand-new international airport doesn’t currently have international flights scheduled, that is all set to change in 2019. 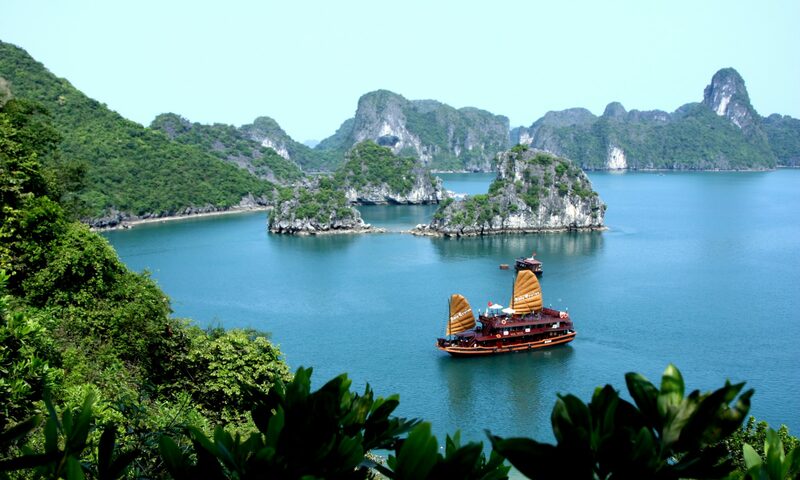 Halong Bay’s foremost elegant cruise proudly invites you to the most glamorous night in the bay. 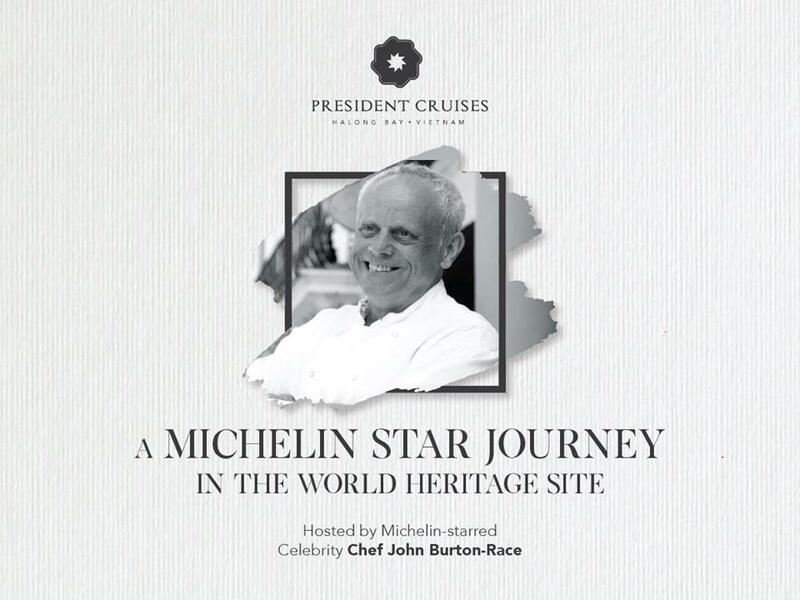 Reimagining luxury in Halong Bay, celebrity chef John Burton-Race, who holds multiple Michelin stars, will be joining President Cruises for one night of black tie pageantry. This magical evening will take place on 5 & 6 January, 2019. The first celebrity chef ever to grace Halong Bay’s waters, John has a highly decorated career, which began beneath his mentor, Raymond Blanc at Le Manoir aux Quat’Saisons. The pair’s relationship blossomed, and John later went on to take over Raymond Blanc’s kitchen, earning him his first Michelin star. John’s career now ranks among the most distinguished in world-class dining, having opened a total of three restaurants that have been awarded Michelin stars. John gained further international attention as the star of Channel 4’s hit television show French Leave. 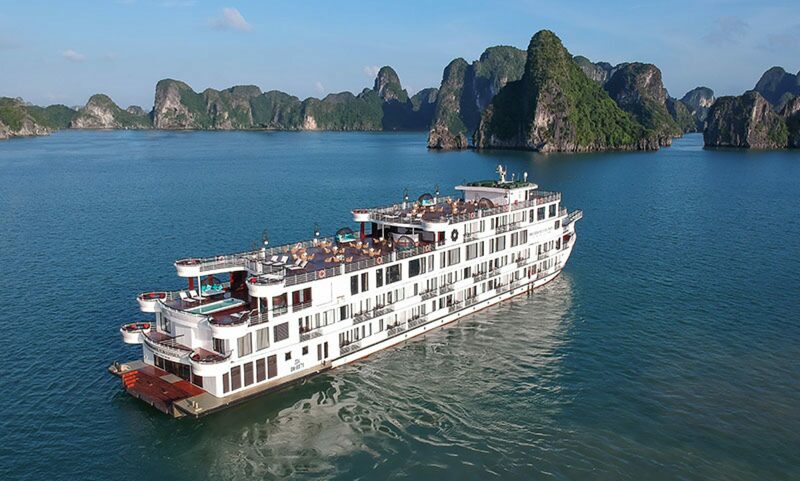 John will step aboard Halong Bay’s boldest vessel to launch his brand new menu, created especially for President Cruises. Alongside him will be world-class sommelier Stephanie Voy, Maison Castel’s Wine Ambassador. 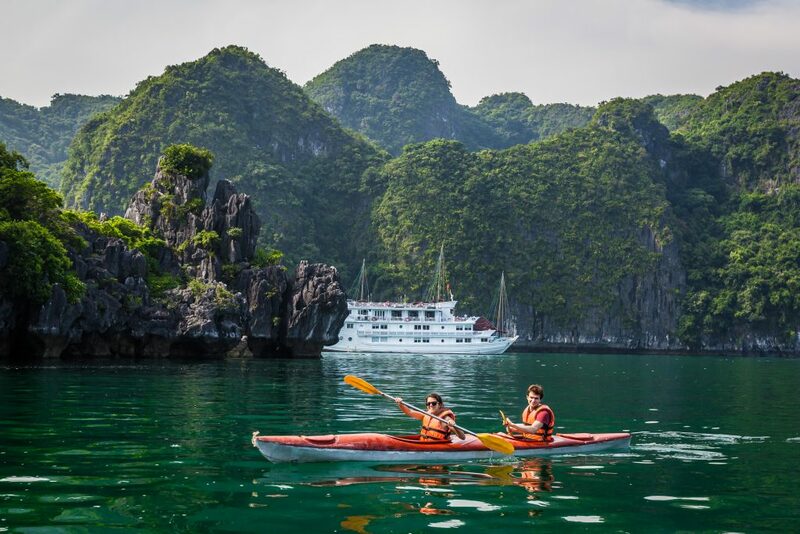 John and Stephanie will prove to be the perfect pairing for the evening’s leisurely voyage through Halong Bay. The handcrafted menu will leave every desire satisfied, ensuring an indulgent range of Michelin-standard food from John and exquisitely prepared Vietnamese food from President Cruise’s own outstanding chefs.